Communications giants like Google, Comcast, and AT&T enjoy increasingly unchecked control over speech. As providers of broadband access and Internet search engines, they can control online expression. Their online content restrictions―from obstructing e-mail to censoring cablecasts―are considered legal because of recent changes in free speech law. 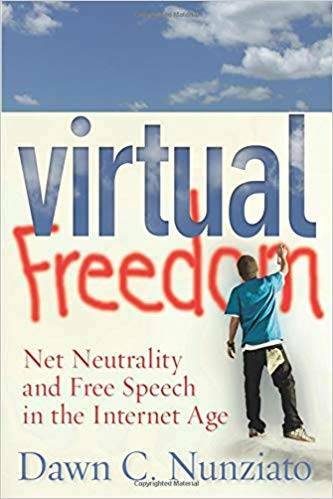 In this book, Dawn Nunziato criticizes recent changes in free speech law in which only the government need refrain from censoring speech, while companies are permitted to self-regulate. By enabling Internet providers to exercise control over content, the Supreme Court and the FCC have failed to protect the public’s right to access a broad diversity of content. Nunziato argues that regulation is necessary to ensure the free flow of information and to render the First Amendment meaningful in the twenty-first century. This book offers an urgent call to action, recommending immediate steps to preserve our free speech rights online.